Surat is an Indian port city previously known as Suryapur. It is the economic capital and former princely state in the Indian state of Gujarat. It is the eighth largest city and ninth largest urban agglomeration in India. 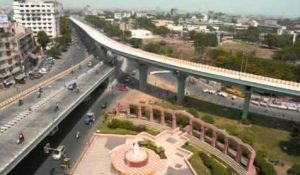 Surat is the 3rd “cleanest city of India” according to the Indian Ministry of Urban Development, and 4th fastest growing city of the world. Surat is famous for its food, textile, and diamonds. Surat polishes over 90 percent of the world’s rough diamond. Where Surat itself is one of the must places to visit and have lots of tourist attractions within its coverage, still, we have some more beautiful places to suggest for Surat people. For any of these places, online booking can be done from our website, by dropping an email : mumbainashiktaxi@gmail.com , you may also watsapp/contact us on our helpline number: +91-92224 93328 or visit our website: mumbainashiktaxi.com. Get the best affordable fares available at the time of making booking with us through different promo codes and discounts applicable at that time. You can choose the best suitable options for taxi hire for your package by opting any of kms pay or package pay options. Worrying about Quality of Service?? We assure the best quality of taxi rent /cab hire services for Surat is provided to you from the time of booking till you arrive your final destination booked with us. If you have any query about anything for Surat –Gujarat Cab Services, feel free to ask us anytime. We are there to assist you 24/7.